Ansley Designs: Easiest, Most Delicious Salmon EVER! Easiest, Most Delicious Salmon EVER! Welcome to the flavor train! 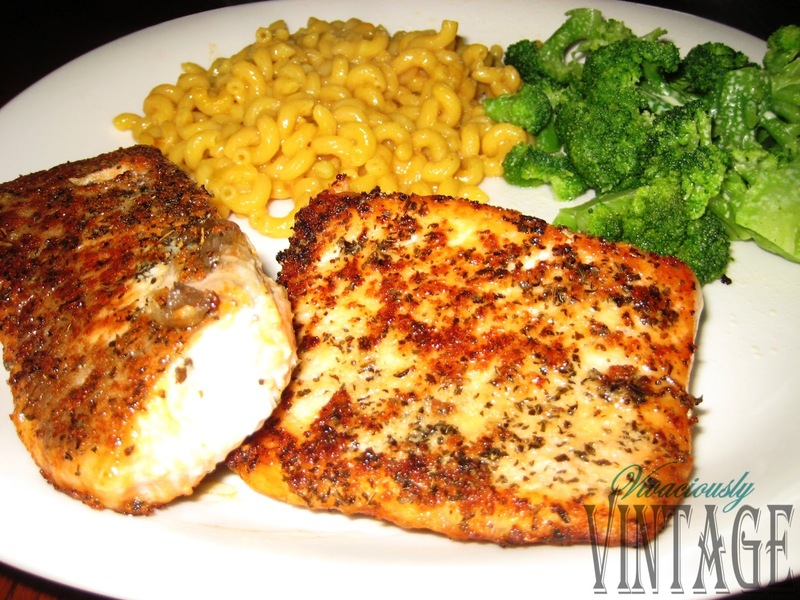 I'll warn you, this is very flavorful fish. I love it because, just ask Hubba Hubba, I always have to add extra something to my food. I like a lot of flavor so I'm always adding extra salt, Slap Ya Mamma, or some type of dip to my dinner plate. 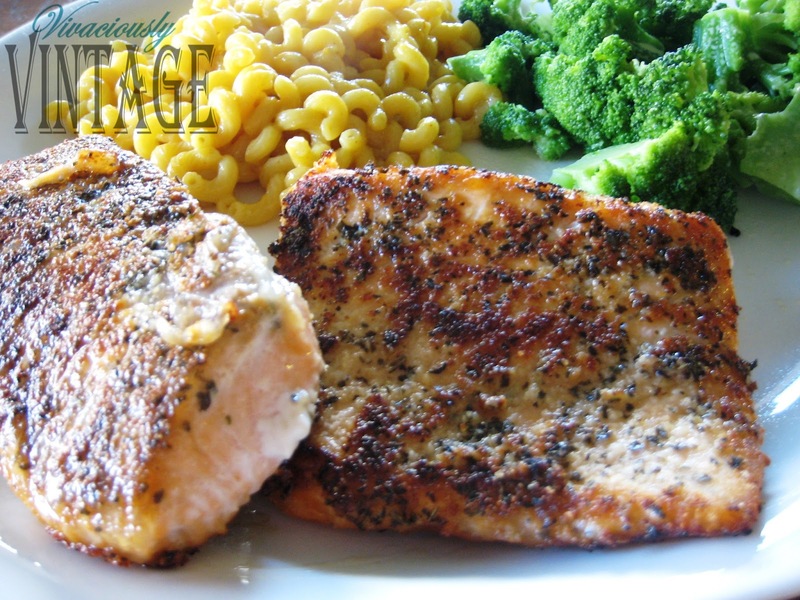 However, this salmon fills the flavor bill! It also helps that it's ridiculously EASY and FAST! 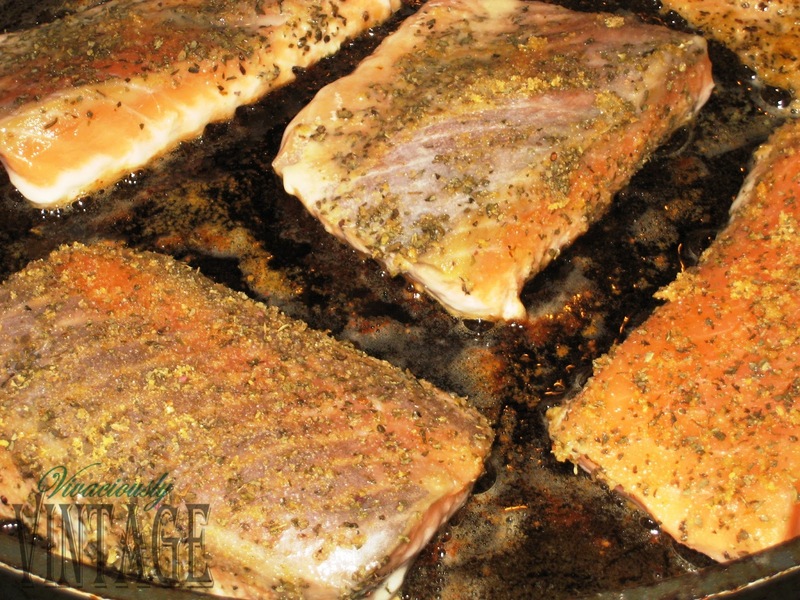 Add salmon to the pan and cook until browned, usually about 5 minutes per side. If desired, garnish with a lemon wedge. I have never 'garnished with a lemon wedge', but I have sprinkled the filets with a little lemon juice. It is delicious with the lemon and without. I usually do not add the juice, simply because I forget! Hi! I'm your newest follower from the blog hop!